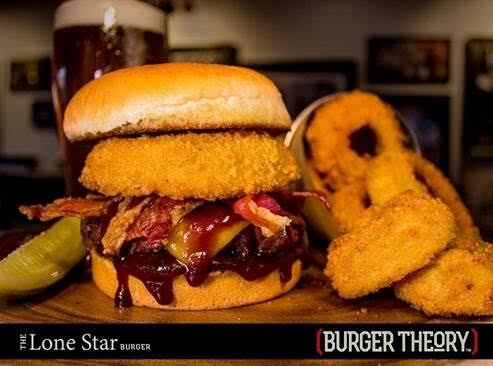 Burger Theory grills up their signature Lone Star Burger with an Angus, brisket and short rib blend patty topped with melted cheddar cheese, thick sliced bacon, BBQ sauce and a panko parmesan crusted onion ring. Or you can build your own burger and add onion rings as a topping or side. With over 4,300 topping choices, the possibilities are endless for a delicious burger at Burger Theory. Sink your teeth into the mouthwatering Bourbon Egg Burger at Kelly’s at Southbridge. 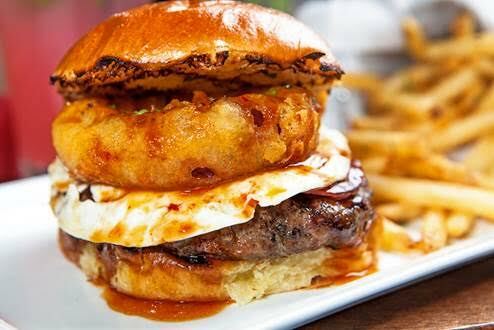 The beef patty is grilled to perfection and is topped with Pancetta, a fried egg, Bourbon BBQ sauce and an onion ring. This unique combination of flavors will have your taste buds loving the onion ring egg burger. One of Thirsty Lion’s signature dishes is the delicious Tavern Burger made with onion rings. This more traditional burger is topped with pepper bacon, melted cheddar cheese, pickles, burger sauce and beer battered onion rings. 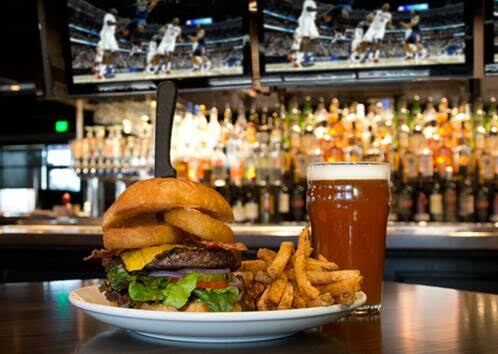 Wash down this tasty burger with an ice cold beer from one of Thirsty Lion’s 24 beers on tap.